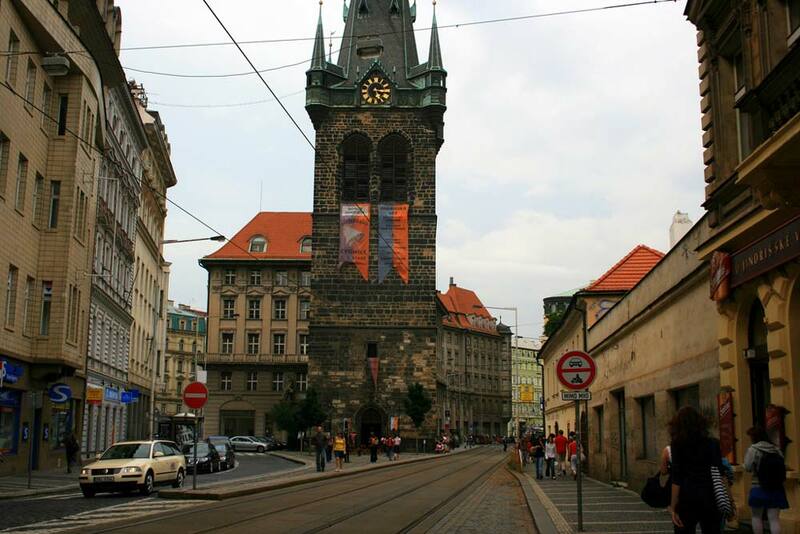 The Jindrisska Tower is located in the city of Prague, which is the capital of the Czech Republic. It is the tallest bell tower in the city and is 213 feet high. The tower has a souvenir shop, coffee shop and a restaurant. The tenth floor lookout offers wonderful views of the city. This historic bell tower for the Church of St. Henry was built in the fifteenth century and has experienced many renovations over the years. The present stone version was constructed during the last part of the sixteenth century. The Jindrisska Tower was damaged in 1648 by the Swedish army, and in 1757 by the Prussian military. After a fire in 1745, the bell tower was reconstructed in the Baroque style. In 1801, a storm destroyed the bell tower’s rooftop. In the 1870’s the tower was changed back to its original Gothic style by architect, J. Mocker. In 2002, the Jindrisska tower was transformed into a multi-level attraction. The outer walls were not changed but the interior was totally modernized and now has an elevator. The tower’s ten floors can be accessed by the elevator or staircase. The top floor features a wonderful lookout. Below the lookout area, on the seventh through ninth floors, is a restaurant. The tenth floor has a number of large bells. The oldest one is called the Maria and it was made in 1518. It weighs nearly 1,600 lbs. The largest bell is the Jindrich and it weighs over 6,600 lbs. Another old bell is the Dominik which was made in 1850. In 2003, the carillon was installed with ten, new, smaller-sized bells that were made by Petr Rudolf Manousek. These bells have been named after bells which were once used in the tower. The carillon plays every hour and has more than one thousand programmed tunes. In contrast to the majority of carillons, the music is only heard inside the Jindrisska Tower.